Braces VS Invisalign, Who is the Real Winner? If you live near Somers, NY and are looking to correct your jaw or teeth misalignment, you’ve come to the right place. Dr. Barry Glaser and staff work hard to provide the best orthodontic care for families in and around the area to help achieve the straight and healthy smile you are looking for. Both of the treatment options, braces and Invisalign, are known to have pros and cons. Although Invisalign provides patients with a level virtually invisible comfort and convenience, braces can also provide you with the same comfortable care you need toward the healthy development of a more aligned and confident smile. Through an advanced approach of treatment, we here at Glaser Orthodontics want to ensure that all our patients receive the appropriate and affordable treatment plan in hopes of creating a new confident smile, and a more confident you, with the help of either Invisalign or braces near Somers, NY! Today’s metal braces consist of a more comfortable and less noticeable response. Braces are made of three basic parts—bracket, bonding or band, and an archwire—to help with the movement and modification of your teeth, bite and jaw. Braces provide the quick convenience our patients are looking for, especially our younger patients, and will help us make sure you’re receiving the correct amount of treatment necessary. Using Invisalign gives our patients the easy, form fitting, and comfortable flexibility needed to function throughout everyday life. With Invisalign, you’ll be able to eat any foods, brush and floss your teeth, and ultimately take on your day-to-day activities without worry. Invisalign is ultimately hassle-free, and very easy to keep clean throughout the day to guarantee healthy dental development. It will also provide you with an ultimately invisible fix, ultimately letting you continue your day without changing the physical appearance of your teeth and mouth. Although using Invisalign gives you a more flexible approach of treatment, it is recommended more for adults and teens. Due to the easy temptation of taking the aligners out or not wearing them for the proper amount of time needed. You are required to wear Invisalign aligners for a maximum of 22 hours a day. It is also important to note that the orthodontic treatment required may already be too complex to be treated with Invisalign. Don’t suffer through the effects of teeth and jaw misalignment. If you live near Somers, NY, or surrounding areas, we can help you in making the decision for treatment of braces or Invisalign based on your jaw, bite and teeth. If you are beginning to feel discomfort in your jaw and the muscles in and around your face, please call Glaser Orthodontics near Somers, NY, at 914.739.6400. We will be able to set you up with our next available appointment with Dr. Barry Glaser to see what orthodontic treatment will work best for you! Congratulations on selecting Invisalign® for your type of treatment with Dr. Glaser of Glaser Orthodontics in Cortlandt Manor, NY. Now it’s time to learn how to care for your Invisalign®. Invisalign® is designed to be removed when you eat, drink, brush and floss which makes for the perfect time to clean them. We at Glaser Orthodontics recommend cleaning your Invisalign® with the Invisalign® Cleaning System that we sell here at Glaser Orthodontics. This system is designed by Invisalign® and helps remove plaque within 15 minutes and keeps your aligners odor-free, hygienic and clear. Always remember to rinse before putting your Invisalign® aligners back on and if you have any other questions or concerns please don’t hesitate to contact Dr. Glaser at 914.739.6400. Keep smiling! Have you been lacking confidence in your smile and are looking for a change? Then look no further than Glaser Orthodontics in Cortlandt Manor, NY to help you make the necessary changes to straighten your teeth and obtain that winning, radiant smile with the help of Glaser Orthodontics. Whether you’re a child, teen or adult, don’t wait any longer to correct common issues including crowding of the teeth, spacing of the teeth and overbites, all of which can easily be corrected at Glaser Orthodontics. Offering many different treatment options, Glaser Orthodontics will give you amazing results, so don’t hesitate to visit our website at https://www.glaserorthodontics.com/or contact us at 914.739.6400 TODAY! A smile that is stained, yellow, or dingy-looking can make a person look much older than they are and can negatively affect his or her self-esteem. What many people in Peekskill, NY aren’t aware of is that some of the foods or beverages they regularly consume may be leading to a less-than-brilliant smile. While a tooth whitening treatment is a great way to brighten your grin, Glaser Orthodontics also warns that it’s a good idea to avoid these smile-staining foods in the first place. 1. Coffee –a well-known offender, coffee can sink into the teeth. Its dark color quality can make it a tough opponent for white teeth. But fear not, says Dr. Glaser, a little bit of milk or something to lighten the color can minimize the chance of staining. 2. Beets -Beet juice, which is concentrated, is especially dangerous for light fabric, which of course means the same for teeth. If you eat beets, Glaser Orthodontics says to try to brush your teeth within an hour to reduce their potential to stain your teeth. Just like dark beverages, dark sauces can also stain your teeth. In fact, a good rule of thumb from Glaser Orthodontics is that patients remember that a food that can stain their clothes can also stain their teeth. Other sauces to watch out for include tomato sauce and balsamic vinegar. 5. Fruit juices- Yellowed teeth can be caused by drinking juices that contain a lot of acid. Of course, fruit juices will fall under this category, so try to minimize the acid consumption. Getting your smile straight with braces or treatments from Glaser Orthodontics is just one aspect of a beautiful smile in Peekskill, NY. Another thing to focus on is a bright white grin. Now that you know more about which staining foods to avoid in Peekskill NY, your perfect smile is better than ever. For more information on how the team at Glaser Orthodontics can help you achieve a glowing smile, Contact us! Are you an adult in Yorktown Heights, NY that never had the opportunity to receive braces as a child and now want to correct your smile and straighten your teeth with an adult brace treatment? Look no further than Glaser Othodontics in Yorktown Heights, NY to help you achieve that goal and regain your self confidence with a radiant and glowing smile. It may have also become apparent to you that there is a more comfortable and practicable alternative for adults and teens than the traditional metal mouth braces that is unappealing to most. Fortunately, we offer clear braces in Invisalign that will be sure to restore your faith in a healthy and happy new smile that will straighten your teeth without the look of having braces at all. Virtually completely transparent, Invisalign is also removable at any time for eating, brushing, taking pictures, etc. in order to enhance the overall experience of having braces on a daily basis. Extremely popular with adults and growing in teen popularity, leave it to Glaser Orthodontics to take care of all of your mouth in the most efficient and reliable way possible. Dr. Glaser is a trained, highly skilled and licensed professional orthodontist that has had experience working with adults, teens and children for years. His expertise is highly sought out and has gained a formidable reputation among his customer base as a caring professional that only wants the best for each and everyone he works with. Please don’t hesitate to contact us right away at 914-739-6400 or visit our website. We guarantee your satisfaction. Are you an adult in Westchester County that never had the opportunity to receive braces as a child and now want to correct your smile and straighten your teeth? Look no further than Glaser Othodontics in Westchester County, NY to help you achieve that goal and regain your self confidence with a radiant and glowing smile with adult brace treatment. It may have also become apparent to you that there is a more comfortable and practicable alternative for adults and teens than the traditional metal mouth braces that is unappealing to most. Fortunately, we offer clear braces in the form of Invisalign that will be sure to restore your faith in a healthy and happy new smile that will straighten your teeth without the look of having braces at all. Virtually completely transparent, Invisalign is also removable at any time for eating, brushing, taking pictures, etc. in order to enhance the overall experience of having braces on a daily basis. Extremely popular with adults and growing in teen popularity, leave it to Glaser Orthodontics to take care of all of your mouth in the most efficient and reliable way possible. Dr. Glaser is a trained, highly skilled and licensed professional orthodontist that has had experience working with adults, teens and children for years. His expertise is highly sought out and has gained a formidable reputation among his customer base as a caring professional that only wants the best for his patients. Please don’t hesitate to contact us right away at 914-739-6400 or visit our website. We guarantee your satisfaction. It has come to that point where you realize your teenager needs braces in order to straighten their smile. However, in this day and age, no one seems to want the old traditional look of the metal mouth; especially your teenage child. Fortunately, at Glaser Orthodontics in Westchester, NY, your son or daughter can experience braces in comfort with Invisalign teen. Now your child can enjoy not having to worry about the look of metal in their mouth. With Invisalign, you can experience clear braces that offer the same straightening reliability and competence as metal braces. Virtually unnoticeable, these clear braces give off the illusion that you are not even wearing braces at all. Extremely popular for adults, Invisalign has now become much more popular for teens that want a confidence boost as they grow up. Easily removed, clear braces eliminate difficulty and hassle with eating, brushing, etc. In addition, Invisalign is super comfortable and will be customized to fit the exact shape and mold of your mouth. Don’t hesitate to contact us or visit our office in Westchester NY! Dr. Glaser: 914.739.6400. 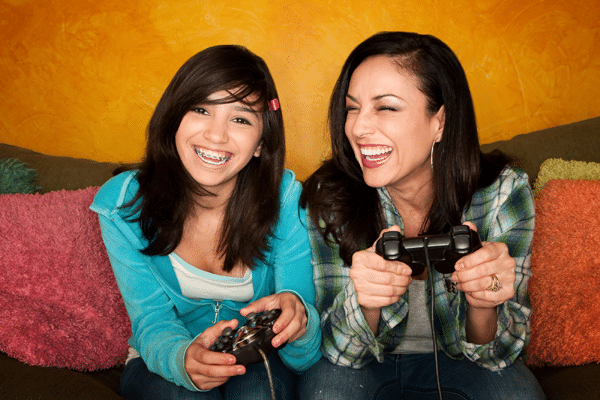 Is your teen in need of orthodontic treatment? The pros at Glaser Orthodontics are thrilled to offer treatment with Invisalign Teen in Yorktown, NY. Dr. Glaser and his team are dedicated to providing the most enjoyable and comfortable experience with orthodontic treatment for your teen. 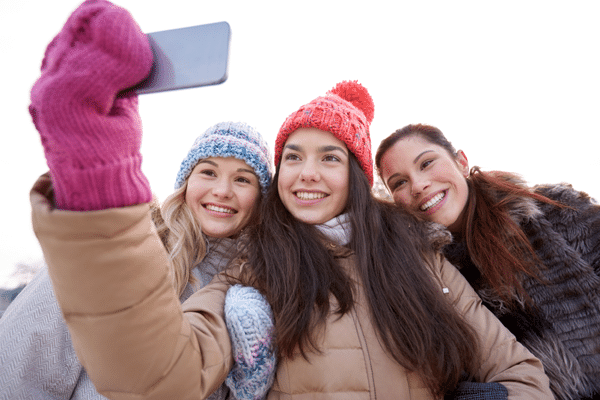 If you’re ready to help your teen achieve their perfect smile, the team at Glaser Orthodontics is here to help. To find out more about Invisalign Teen in Yorktown, NY, or to schedule your initial consultation, don’t hesitate to contact Glaser Orthodontics today!